Tata Motors Limited is an Indianmultinational automotive corporation headquartered in Mumbai, India. Part of the Tata Group, it was formerly known as TELCO (TATA Engineering and Locomotive Company). Its products include passenger cars, trucks, vans and coaches. Tata Motors is South Asia’s largest automobile company; it is the leader in commercial vehiclesand among the top three in passenger vehicles. Worldwide it is the world’s fourth-largest truck manufacturer and second-largest bus manufacturer. It has auto manufacturing and assembly plants in Jamshedpur, Pantnagar, Lucknow, Sanand, Dharwad and Pune, India, as well as in Argentina, South Africa, Thailand and the United Kingdom. Tata Motors has produced and sold over 6.5 million vehicles in India since 1954. Originally a manufacturer of locomotives, the company manufactured its first commercial vehicle in 1954 in a collaboration with Daimler-Benz AG, which ended in 1969. In 2010, Tata Motors surpassed Reliance to win the coveted title of ‘India’s most valuable brand’ in an annual survey conducted by Brand Finance and The Economic Times. 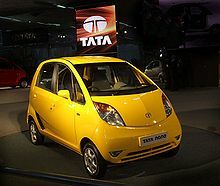 Tata Motors is a cross-listed company; its stock trades on the Bombay Stock Exchange and the New York Stock Exchange. Tata Motors is a part of the Tata Group manages its share-holding through Tata Sons. The company expanded its operations to commercial vehicle sector in 1954 after forming a joint venture with Daimler-Benz AG of Germany. Despite the success of its commercial vehicles, Tata realized his company had to diversify and he began to look at other products. Based on consumer demand, he decided that building a small car would be the most practical new venture. 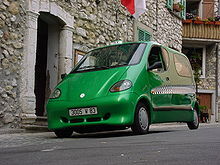 So in 1998 it launched Tata Indica, India’s first fully indigenous passenger car. Designed to be inexpensive and simple to build and maintain, the Indica became a hit in the Indian market. It was also exported to Europe, especially the UK. Tata acquired Spanish bus and coach manufacturer Hispano Carrocera in 2009. In 2006 it formed a joint venture with Marcopolo S.A. of Brazil, and introduced low-floor buses in the Indian Market under the name Tata Marcopolo Bus. Recently, it has acquired British Jaguar Land Rover (JLR), which includes the Daimler and Lanchester brand names. After years of dominating the commercial vehicle market in India, Tata Motors entered the passenger vehicle market in 1991 by launching the Tata Sierra, a multi utility vehicle. After the launch of three more vehicles, Tata Estate (1992, a stationwagon design based on the earlier ‘TataMobile’ (1989), a light commercial vehicle), Tata Sumo (LCV, 1994) and Tata Safari (1998, India’s first sports utility vehicle). Tata launched the Indica in 1998, the first fully indigenous passenger car of India. Though the car was initially panned by auto-analysts, the car’s excellent fuel economy, powerful engine and aggressive marketing strategy made it one of the best selling cars in the history of the Indian automobile industry. A newer version of the car, named Indica V2, was a major improvement over the previous version and quickly became a mass-favorite. Tata Motors also successfully exported large quantities of the car to South Africa. The success of Indica in many ways marked the rise of Tata Motors. The 2nd generation Tata Indica V2’s fuel economy, powerful engine and aggressive marketing strategy made it one of the best selling cars in the history of the Indian automobile industry. 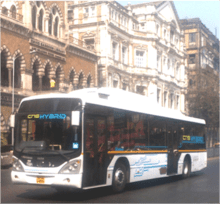 Tata MarcoPolo released a low-floor bus in India and now it is widely used as public transport in Delhi, Mumbai,Pune, Chennai, Hyderabad, Bangalore, Chandigarh and Lucknow. Tata Xenon is Tata’s best selling vehicle in Europe. Tata has dozens of technology and design subsidiaries. These include the main ones. TELCON is a joint venture between Tata Motors and Hitachi, which focuses on excavators and other construction equipment. and research work are done. HVAL and HVTL are 100% subsidiary companies of Tata Motors engaged in the business of manufacture of gear boxes and axles for heavy and medium commercial vehicles, with production facilities and infrastructure based at Jamshedpur. TTL provides Engineering and Design (E&D) solutions to the Automotive Industry. Tata Motors holds 86.91% of TTL’s share capital. TTL is based in Pune (Hinjawadi) and operates in the US and Europe through its wholly owned subsidiaries in Detroit and London respectively. It also has a presence in Thailand. Tata Technologies is a software service provider in the IT services and BPO space. Its global client list includes Ford, General Motors, Toyota and Honda, to name a few. It bought over the British engineering and design services company, Incat International Plc for Rs.4 billion in August 2005. Incat specializes in engineering & design services and product lifecycle management in the international automotive, aerospace and engineering markets. With this acquisition, Tata Motors will have closer proximity to its global customers and be able to provide a wider range of services. Tata Motor European Technical Centre is Tata’s subsidiary based in the UK. It was the joint developer of the World Truck.